The only tricky part is that I criss-crossed the ties that attach it to the bike.. that is, I took the end of one tie and inserted it into the other tie, instead of its own end. 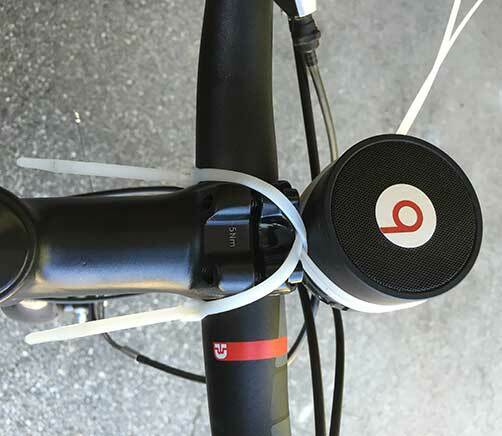 This added some stability, and prevents the speaker from getting damaged due to rubbing against the handlebars. Be sure to rotate the speaker to the proper orientation for you to access its controls before tightening it up. The speaker I used is a cheap Chinese fake Beats by Dr Dre speaker. 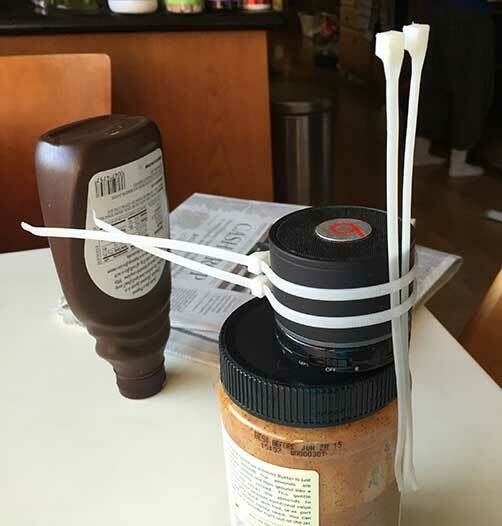 I bought it on AliExpres for $13.88 including shipping from China. 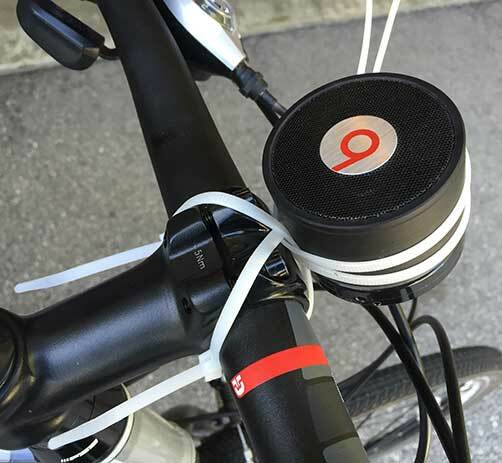 It’s also known as the “S11 bluetooth speaker,” and is available on eBay, as well. It has a built-in lithium-ion battery, Bluetooth connectivity, including speakerphone (the microphone is crap, though), and even has pause and track skipping buttons. It also has a cable for connecting it via a headphone jack, and even sports a microSD slot, so you can use it completely standalone. Not only is it loud, but the sound is actually better than lots of speakers I’ve tried that cost a lot more. The black model has a rubberized casing, which helps avoid damage from rough handling. It also comes in a rainbow of colors, some with metal casing, instead. Now, I just keep my iPhone in my pocket, and pause/skip tracks using the buttons on the speaker. The speaker doesn’t have a volume control, but I can easily reach in my pocket and hit the volume buttons w/o looking at it. 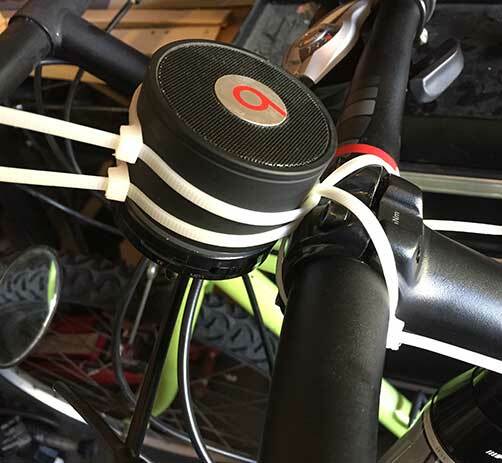 I took it on a 50 mile bike ride the other day, and the speaker didn’t vibrate off.